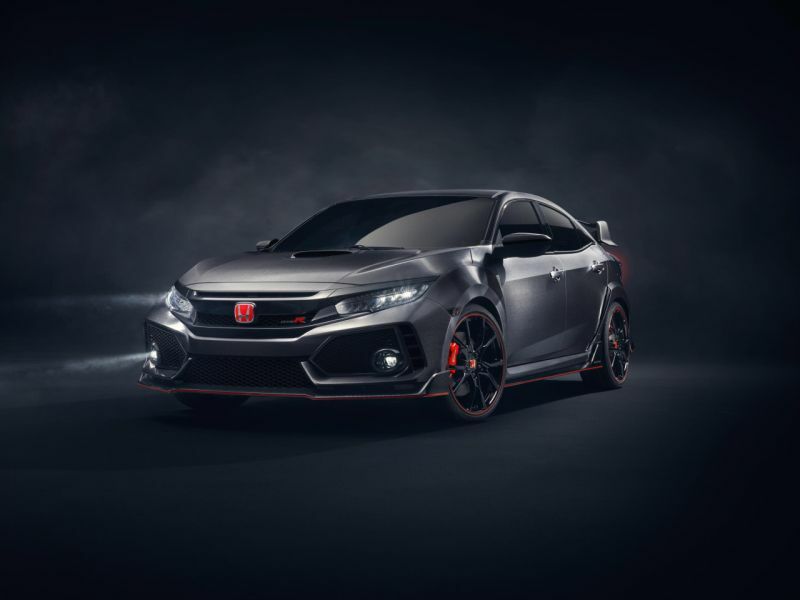 The new Honda Civic Type R Prototype has been revealed at the Paris Motor Show, offering insight into the styling of the next-generation Honda-badged Civic Type R which will be officially unveiled in 2017. 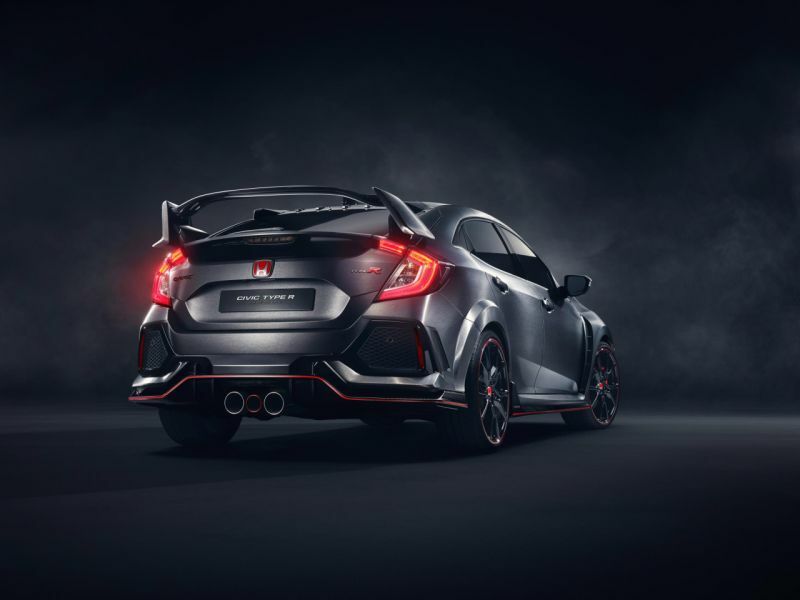 Compared to the lean proportions of the new Civic, the Type R prototype has been given a more muscular styling, along with modifications to aid aerodynamic performance. The aggressive front bumper has been accentuated with a winged carbon splitter. 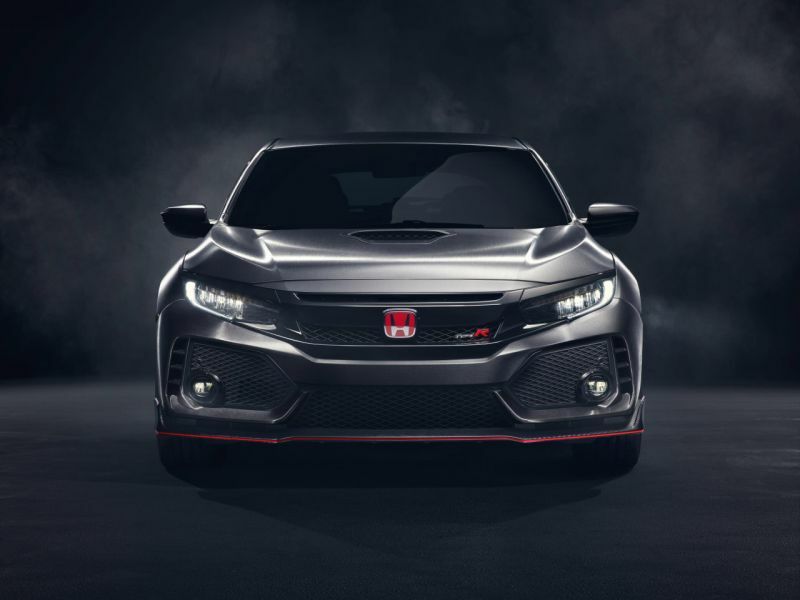 There is also a new intake on the bonnet, with an air-scoop in the centre, all these changes reflect the more aggressive character of the Type R.
The Type R has enlarged wheel-arches than the standard Civic which are home to the new 245-section high-performance tyres. The length of the wheelbase now features carbon-fibre side skirts. There is also a carbon-fibre diffuser which runs below the new wider rear bumper, which frames three fully-functional tailpipes. The central tailpipe is of a smaller diameter and is highlighted in metallic red, which gives the Type R a few extra points for style. 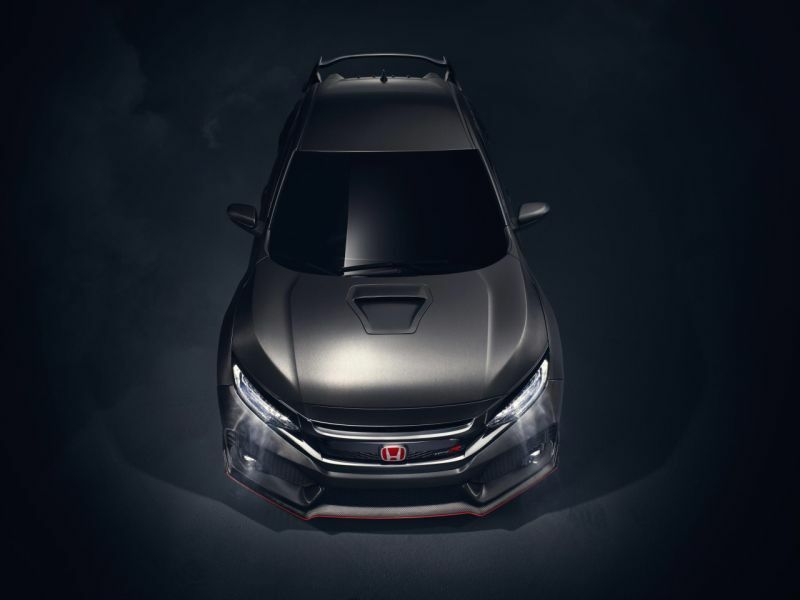 The next-generation Honda Civic Type R will be officially revealed in its production form and is eventually also expected to go on sale next year.